Mikazuki-mura is a theme park which replicates a small Gunma village in the Edo Period (1603-1868). 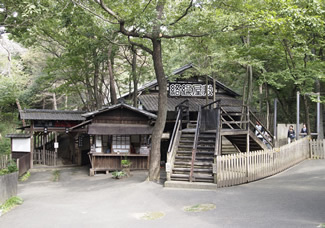 Visitors can experience life in a rural village in the late Edo era. The park has attractions including a house with Ninja-like tricks. On the park premises, you have to use the Edo coins to buy things and pay for the attractions.